The opposite of simplicity isn’t complexity—it’s confusion. We can often fall into the trap of thinking our lives are complex. And they are, sort of. We have family dynamics to navigate, school outings to raise money for, kids with hockey and ballet practice at the same time, church event this-or-that, a gnarl at work, a faltering relationship, schedules to juggle. You know what’s on your list. But complexity is actually often confusion. Not always (let’s not be naive), but often. So what do I mean by “confusion”? Confusion is around what our priorities are. When we’re confused about our priorities, we tend to cram our schedules with 1000 things. Why? Because we don’t know what our priorities are. Maybe our minds are ill-at-ease and so need the distracting intoxication of busyness. Maybe we don’t have the willpower (or know how) to say ‘no’ to those who make demands on our time. Maybe we have become ‘trapped’ in a complicated web of relationships and commitments and have forgotten which direction is up. Can things still be complicated, even if we’re not confused about our priorities? Yes. I’m no stranger to that. I pastor a church, have a family, and know the stresses and strains of a culture that is doing its best to suffocate you. But is some of the complexity in your life confusion? Probably. In the tradition of Reformed spirituality that I call home, simplicity is closely related to sincerity, to authenticity, to freedom, to generosity. The simple heart releases control from that over which it really has no control in the first place; simplicity is a valve slowly releasing anxiety and fear. The simple (not simplistic) heart sincerely seeks first things first. For me, that is God. What is it for you? When you are able to answer that question, you have started the walk to a simpler, richer life. You can simplify your life. But you need to want it. At the start of this blog I said the opposite of simplicity isn’t complexity—it’s confusion. I need to also share this: As I continue my own walk down of path of increasing simplicity, I have discovered that a synonym for simplicity is joy. 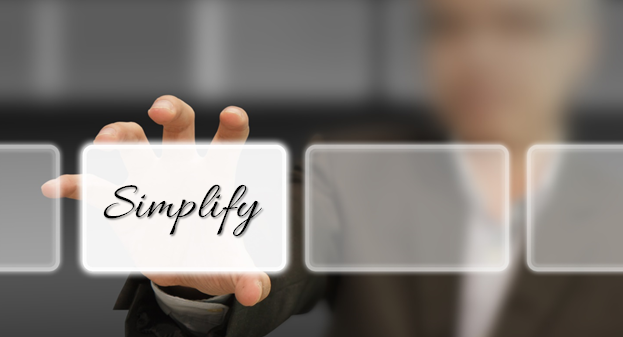 Do you want to simplify your life? It will take some work. You will need to make some decisions.